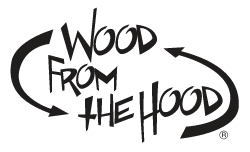 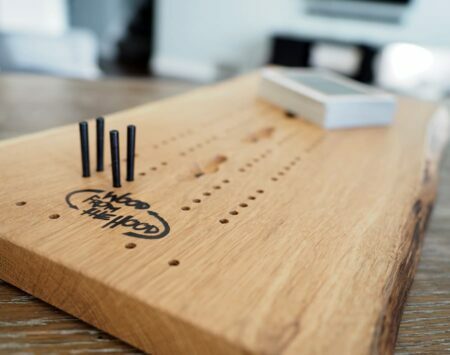 Set of 9 replacement pegs (1-13/16″ tall) for the Jumbo 3-Player Cribbage Board (31″ x 10-16”). 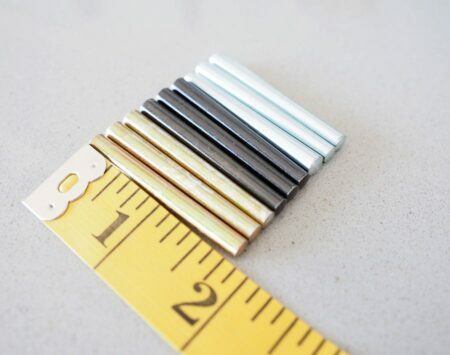 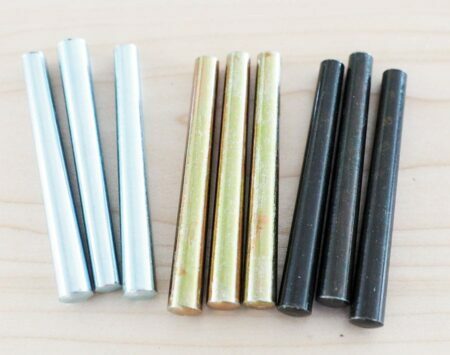 A set of 9 included 3 gold-coated, 3 silver-coated and 3 black pegs. 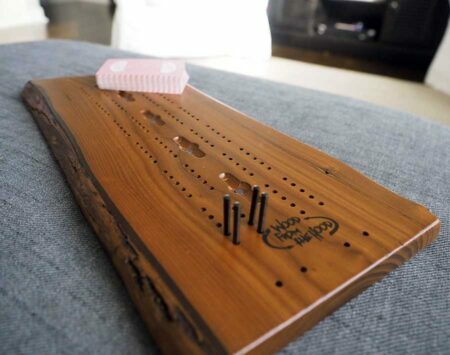 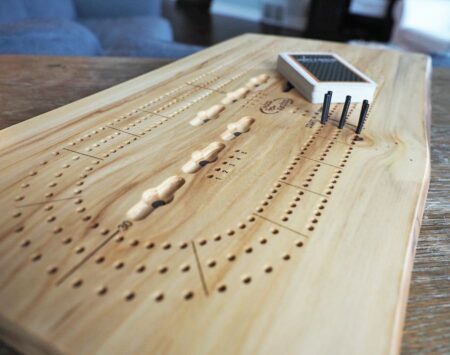 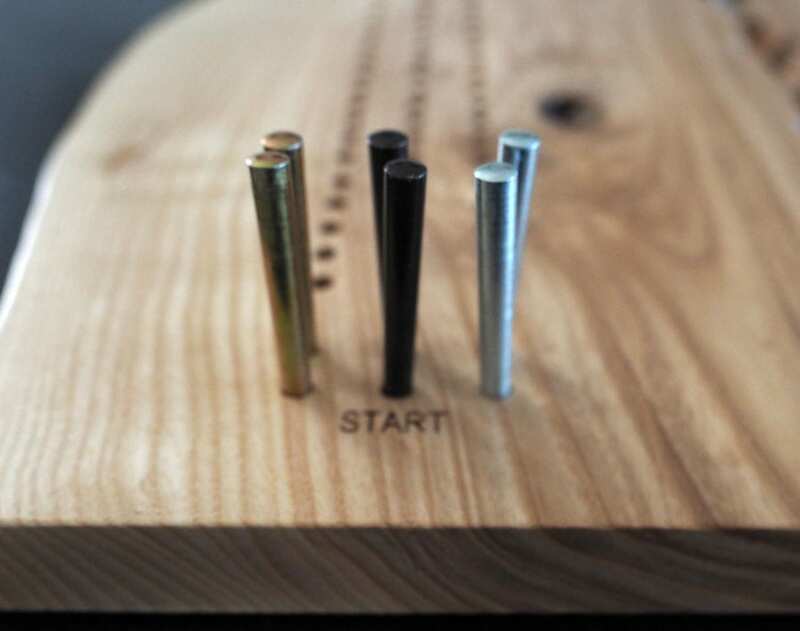 Note, pegs for Small 2-Player, 3-Player, and Large 2-Player Cribbage Boards are separate listings. 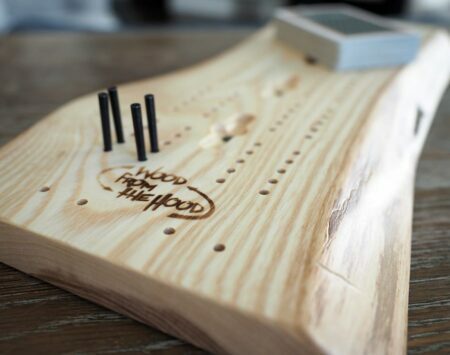 3 Player 10" x 20"